This section shows your daily goals, showing you how much time remains until the goal is achieved. Work start chart shows you your start times for the last 30 days. 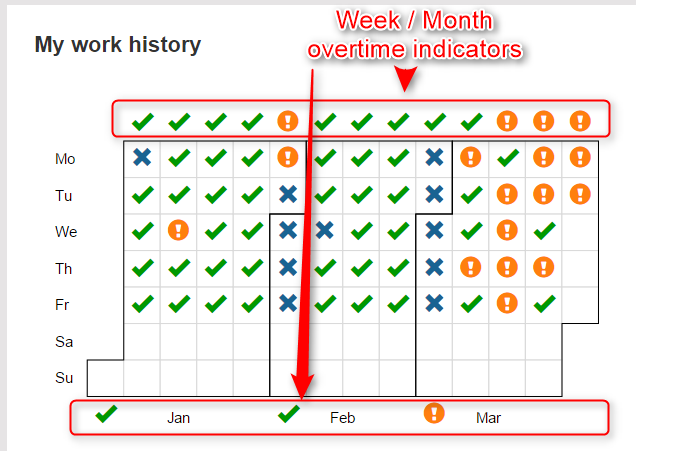 Red dots mark days when you came in after Expected time. Untagged time is Active time which is still untagged. The report only shows time when you were active on any device and which was not tagged on any device. For example if you were active on Mac and this time is already tagged on ManicTime for Windows, then this time will not count as Untagged time. The report will help you to quickly figure out which days are still untagged. 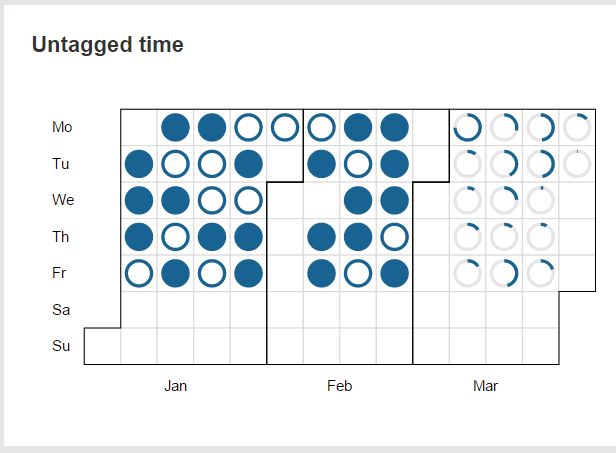 Unfilled blue circle/arc - Not all Active time was tagged. The amount of blue arc corresponds to Active time which was tagged. For each day an icon shows you whether Time at work is greater or equal to Expected time. Check or Exclamation are also at the top of every week and at the bottom for every month. They show whether Time at work >= Expected time for that period.